Get styled through spring and fall with the most bang for your buck. Available for new and returning clients. 30-minute virtual consultation / style assessment. I want to get to know you, the nuances of your life, and your wardrobe struggles. This is the part where we'll get clear on who you are, and make a plan for all your wardrobe needs. Custom digital mood board* to represent your fresh style, complete with specific outfit examples which you'll be equipped to easily recreate with the new pieces I find for you, and your existing wardrobe. We'll go over it in a 15-minute phone call. *New clients or clients who haven’t been styled by me in 1+ years only. Spring Shopping. I will hand select 50 pieces and present them to you digitally, each carefully chosen to help you fill in the blanks in your closet, replace some of the pieces that aren't serving you, and create new styled looks. Video styling session. After the orders have arrived, we will go over your new purchases and talk about how to style them with your existing wardrobe. 30-min video call to check in on where you’re at before we start the fall shopping. Fall Shopping + Video Styling Session. We’ll repeat the process from spring again for fall! $2000 (a $3600 value) Payable upfront or in two installments. Get styled for spring and fall with two in-home sessions and lots more. Available for new and returning clients. Closet assessment (2 hours). Let's dig into that closet of yours. 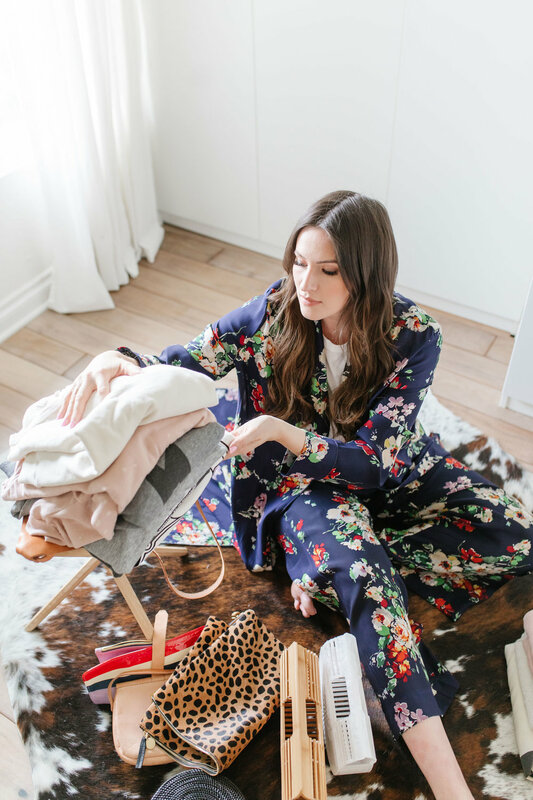 We'll spend 2 hours going through all the pieces that are causing you to question your style, and make a game plan for items to keep, those to part with, and how to revive your favorite pieces with new outfit ideas. Spring Shopping. I will hand select 75 pieces and present them to you digitally, each carefully chosen to help you fill in the blanks in your closet, replace some of the pieces that aren't serving you, and create new styled looks. You will pick your favorites and I will make sure they show up at your door (this is a brand new feature)! Fall Shopping. I will hand select 75 pieces and present them to you digitally, each carefully chosen to help you fill in the blanks in your closet, replace some of the pieces that aren't serving you, and create new styled looks. You will pick your favorites and I will make sure they show up at your door (this is a brand new feature)! In-home styling session. After your pieces have arrived, I will come over for a 2-hour styling session to go everything and style it into outfits with your existing wardrobe. $3600 (a $6000 value) Payable upfront or in two installments. Or contact me to set up a free consultation call!